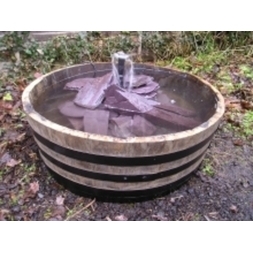 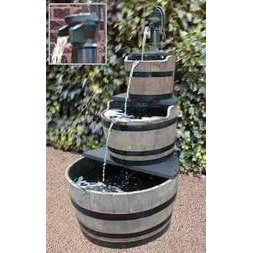 The water features in this section are made from genuine, ex-distillery oak barrels. 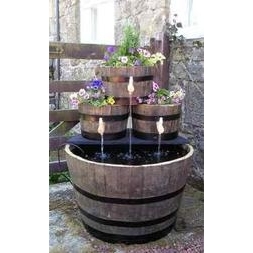 Being made from oak they are highly durable and have a rugged, rustic look, allowing them to naturally nestle amongst the growth in your garden. 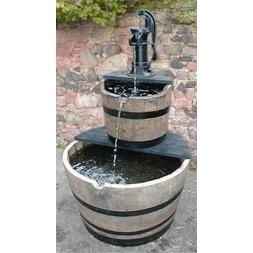 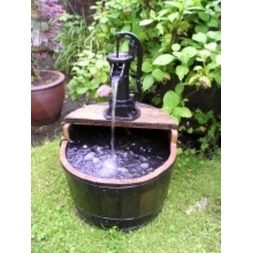 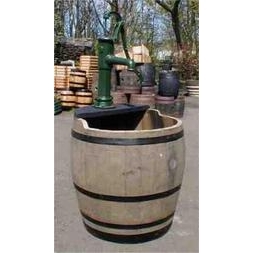 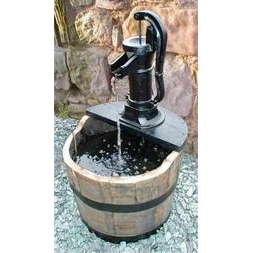 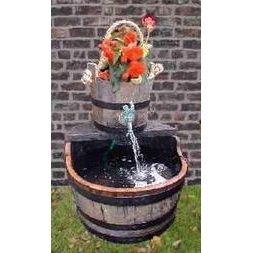 Many of these barrel water features and gardens include cast-iron pumps, wooden buckets and wooden taps. 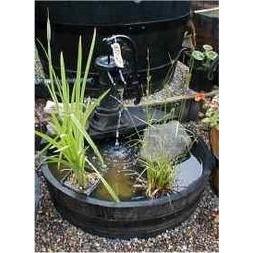 Some can also be planted to create a planter with the added attraction of moving water.